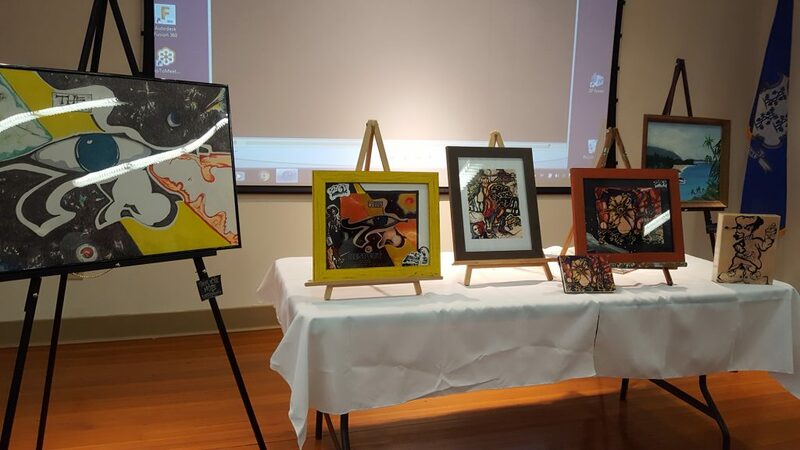 The artwork of Conan Robinson has graced the walls of the Norwalk Public Library’s SoNo Branch for the past month. 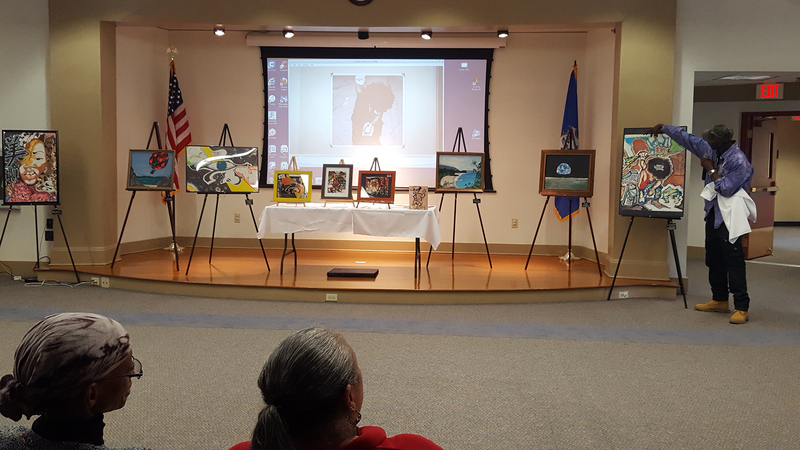 On Tuesday, May 1, 2018 the Washington Village resident and lifelong Norwalker presented his first artist talk at the library. 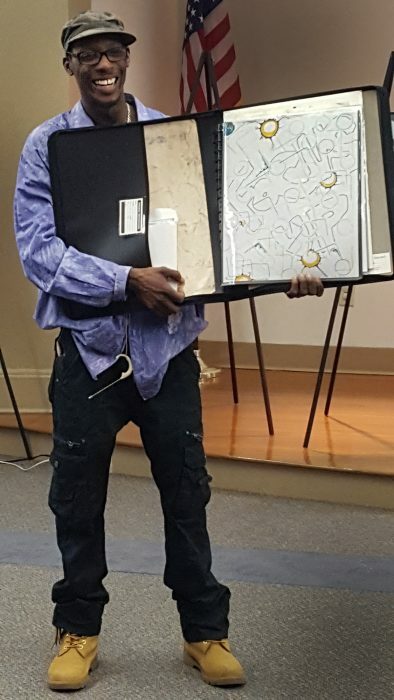 Mr. Robinson spoke about his inspiration and artistic process, and how he creates art in multiple mediums such as acrylic, Prismacolor, and pen and ink. While Mr. Robinson’s portraits and abstracts are influenced by elements in both the natural and urban worlds, he is most known for his modern interpretation of social events. The 1999 Brien McMahon graduate is the founder of 261 Productionz, through which, as a DJ, he plays to a diverse crowd which includes his church Miracle Temple located at 2 Trinity Place in South Norwalk. 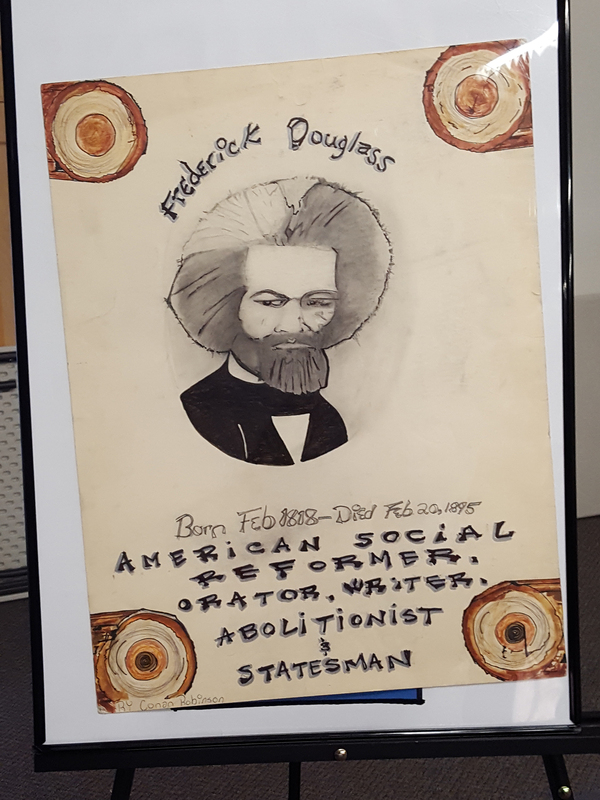 Thanks to the library for hosting this event and to the artist for sharing not only his beautiful artwork, but also insights into the creative process.